It's September and back-to-school time here in New England. For most of us, this usually means a trip to Kmart for some running shoes and school supplies. But for my son, Nicholas, this fall month is far more significant than just a time for buying some notebooks and colored pencils. To him, September is the official kick-off to...The Magic Season. What is The Magic Season you ask? It is that time of year when you can officially begin to decorate the home with all things cozy and warm. It means that you can light candles and plug in things that glow. It is the official start to months and months of twinkling lights and holiday decor. To Nicholas, however it means just one thing, happiness. 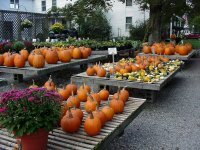 Sure enough, as we passed Paisley's Farm, rows and rows of bright orange pumpkins lined a long, wooden table. "CAN WE GET ONE? CAN WE GET ONE?" Typically buying a pumpkin in the middle of September doesn't pose a particular problem. The colder evening temperatures here in New England, help to preserve the freshness of the gourd-like, giant squash. 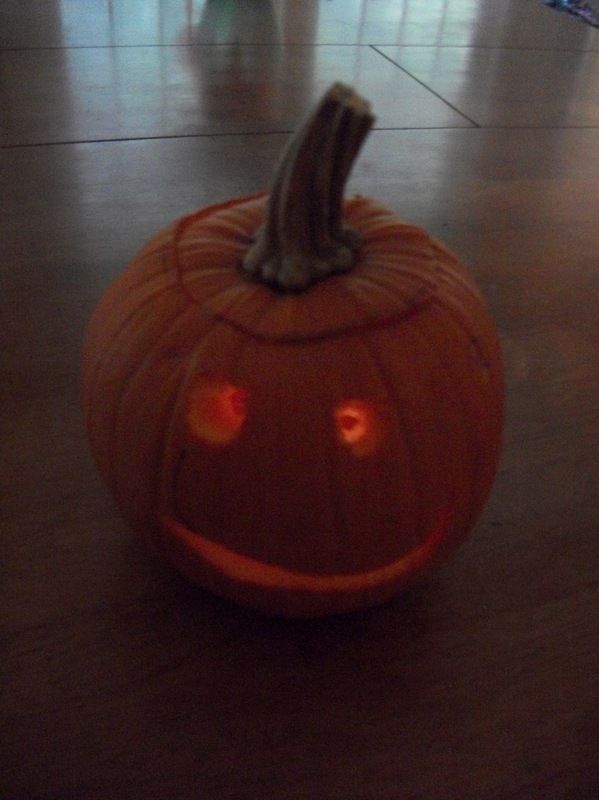 Unfortunately for Mom however, Nicholas insists on carving it right away. He delights in quickly gutting the poor unsuspecting vegetable so he can place a lit candle directly in its belly. He will watch his cheery little friend for hours, and will carry him wherever he goes. But as you all know, the shelf-life of a carved pumpkin is two, maybe three days, tops, and then the once grinning gourd now becomes a rotting, smelling, moldy piece of pulp more suitable for the compost pile than the bedroom nightstand. The ever-tolerant Nicholas however, accepts his faithful friend as he is and disregards the decaying nature and God-awful smell that accompanies him. Usually, I try to avoid passing Paisley's or visiting shopping malls until at least mid October, giving us only a few weeks to collect our gobs and gobs of grinning ghouls and goblins. But this time, however, I blew it, I failed to redirect my route and unknowingly tipped off my son too soon to the coveted commencement of The Magic Season. "CAN WE, CAN WE MOM, CAN WE GET A PUMPKIN?" Nicholas asked excitedly. "I'll tell you what," I said, "You have a good day at school tomorrow and we will get one." "OK!" he said absolutely positive that he would be triumphant in earning the iconic reward. Sure enough, the next day Nicholas behaved beautifully in school. So, it was off to Paisley's we went in search of the perfect pumpkin pal. He chose a small somewhat oval little friend. The Magic Season has officially begun! I wonder if anyone has invented a pumpkin embalming kit yet for parents of children with PWS? Lisa Peters writes at www.onalifelessperfect.blogspot.com. To hear more about our interesting adventures coping with the effects of Prader-Willi Syndrome, epilepsy, ADHD, Asperger's and good old family life, please come visit our blog. "I wonder if anyone has invented a pumpkin embalming kit yet"